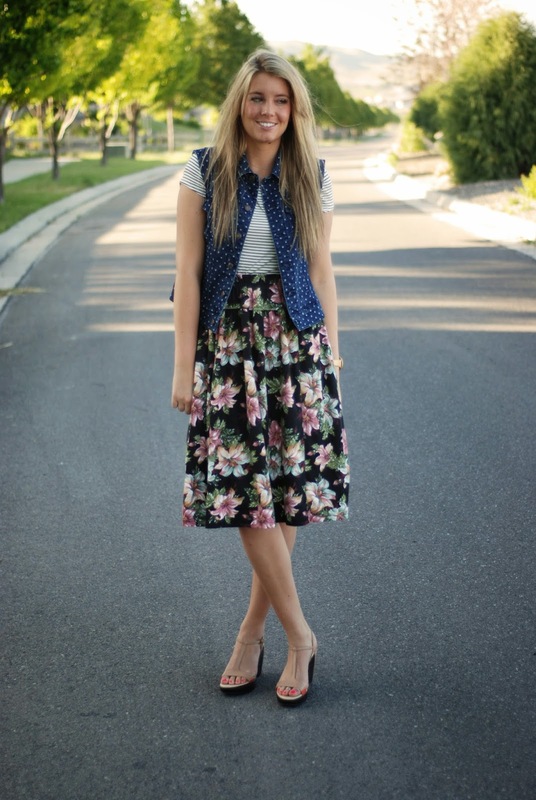 What She Wears Link up is BACK and we are linking up Polka Dots today! My Polka Dots came from a cute vest from Wal Mart. Sometimes Wal Mart has a few treasures, and I sure love this one I found. 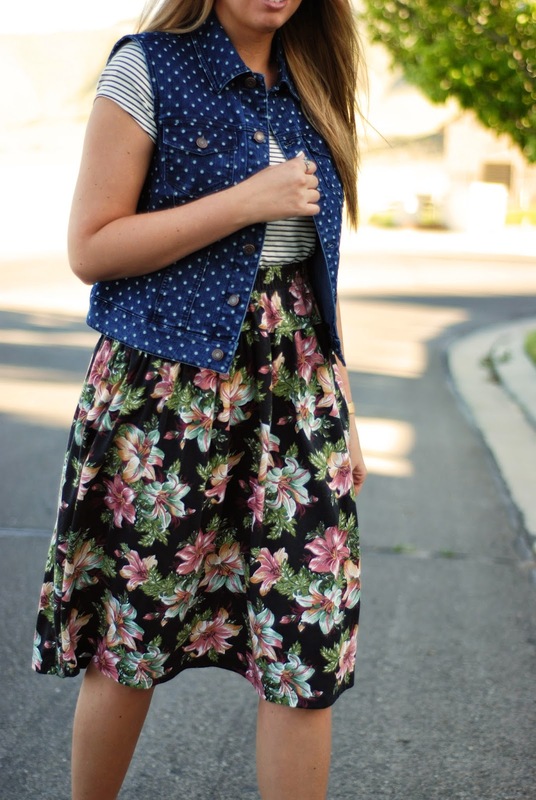 Along with this vest, I thrifted this skirt for $5, got this top from Groopdealz for 10.99 and got these wedges from a good friend for a trade. Pretty cheap outfit, just how I like it! I can't wait to see your polka dots! Next week I will post my favorite, so check back!